When collecting data in a software system, there are essential decisions to be made when it comes to form creation and field choices. The best practices to optimize these choices have been strategically highlighted within TenEleven’s eBook: The Principles of Data Collection. 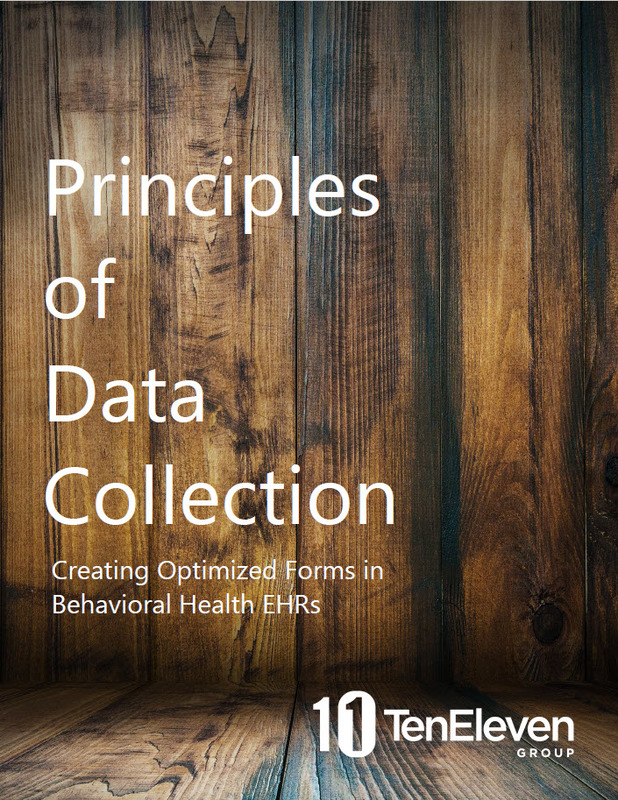 The eBook explores methods and styles that make up the core framework of your data collection, and may have you rethinking some of the field types you are currently using to capture information. Download The Principles of Data Collection eBook to improve your data assembly process and ignite new business practices. TenEleven Group is a software and services company, focused on providing solutions for health and human services agencies to manage their end to end business process from intake to outcomes. Our commitment to our customer is to provide the guidance and technology support necessary to thrive in a performance based payment system. Thousands of users in hundreds of offices use electronic Clinical Record (eCR™) to manage a variety of behavioral health service types from Inpatient, to Outpatient, to Home and Community Based Services, and more. To learn more about TenEleven including the new Treatment Wizard™ for Trauma Informed Care, visit: www.10e11.com. This eBook has been provided to OPEN MINDS readers free of charge by TenEleven Group. How Is CMS Measuring “Consumer Satisfaction”?